Our aluminium top frame is called Natural Elite. 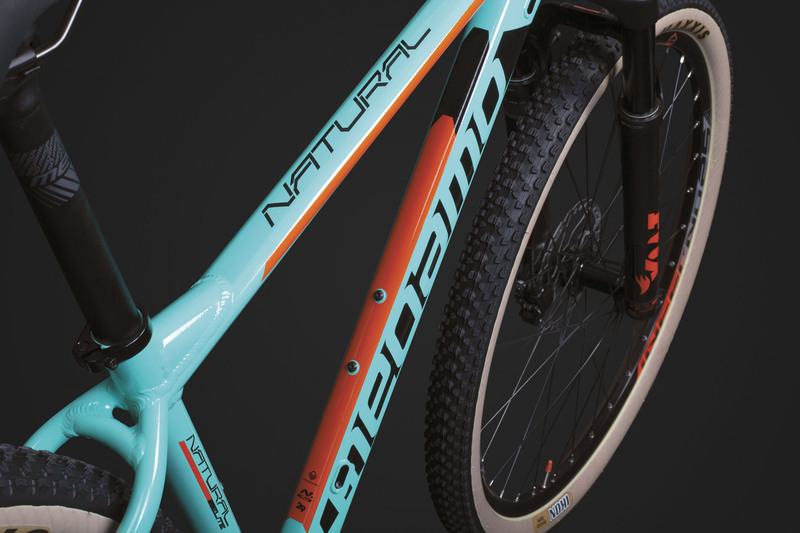 With a modern and racing geometry full of technology: triple butted tube, tapered head tube, rear brake’s clamp integrated between tights, internal wiring and adapted for the new Side Swing from Shimano. Nothing is missed in the mounting of this bike. Everything so you can enjoy mountain bike without worrying. The new anchorage and routing developted by Shimano is a good advantage on thechical aspects and esthetic. The gearshift is smoother, and more efficient. The beauty of the frame is increased. 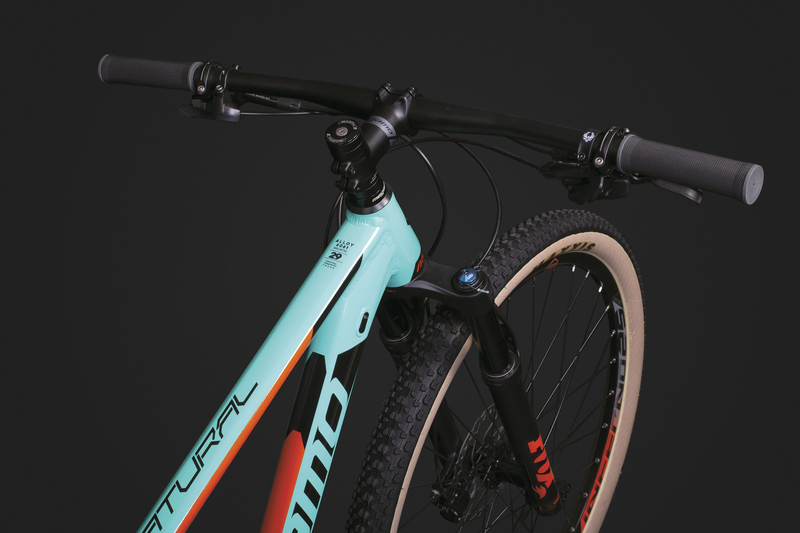 The Zero Stack head tube system, increases the mechanical stifness on the head set. It contributes on more rigidity and precision on the control of the bike. The Direct Post Mount standard has so many advantadges. For example, the bracking action is more efficient, and also the vibes are reduced. In addition, we save a few weight. 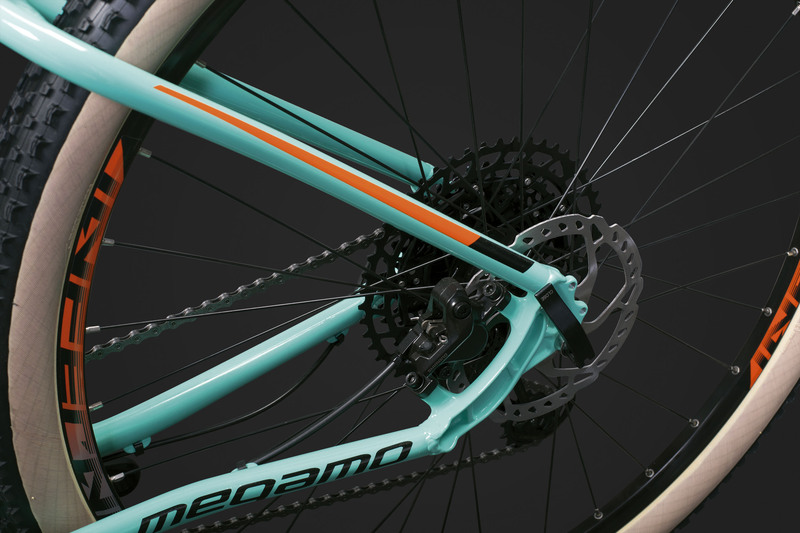 The situation of the Direct Post Mount into the rear part, reduces the possibility to twist the disc brakes in case of falling.